Technology has enabled businesses to expand their capacity and hire the best and brightest regardless of location. 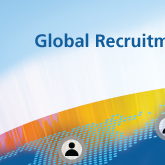 This new global workforce gives recruiters access to a large, diverse, global talent pool. At the same time, this diversity has also created new challenges. Although the talent pool of workers is larger than ever, employers have discovered that finding the right talent when they need it is not an easy task. In fact, according to Manpower Group’s most recent Talent Shortage Survey of 35,000 employers across 36 countries, 34% of companies say they struggle to fill jobs. In addition to this, many human resources executives have found managing remote recruitment operations is a significant challenge. These struggles stem from companies not having a well-planned, consistent recruitment strategy. iCIMS compiled tips and strategies for success from our top-performing global clients to address this challenge. Like many others, these top-performing global organizations initially struggled to find the perfect recipe for global success. Now that they have achieved that success, they have graciously shared what they learned. Whether your organization is planning a global expansion or simply looking to improve global recruitment processes, the advice from top-performing global organizations can help guide you through the process.